There is something inherently powerful and astonishing about individuals who are change makers; who are driven by ideas; who brilliantly execute these ideas and succeed at dramatically changing people’s lives. See for example, a list of Africa’s top social entrepreneurs. Social entrepreneurs are crucial to Africa’s development. 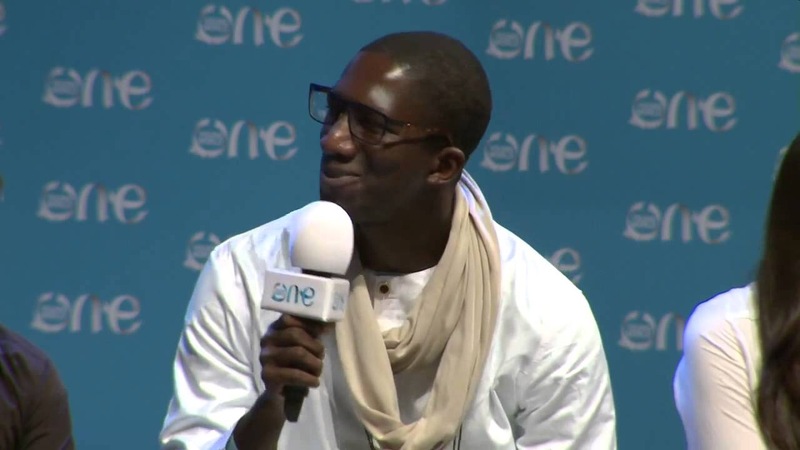 In this blog, I feature my good friend, Bouba Dieme: a young Malian-Senegalese social entrepreneur who founded Yeelen, an energy company that aims to optimize the usage, accessibility, and production of energy in Africa. He’s an inspiration to me and I hope he will also inspire you in your journey to make a difference. I met Bouba in Johannesburg at at interesting time when he was working as an engineer with an ICT company and mobilizing a global movement to bring awareness to the crisis in Mali. 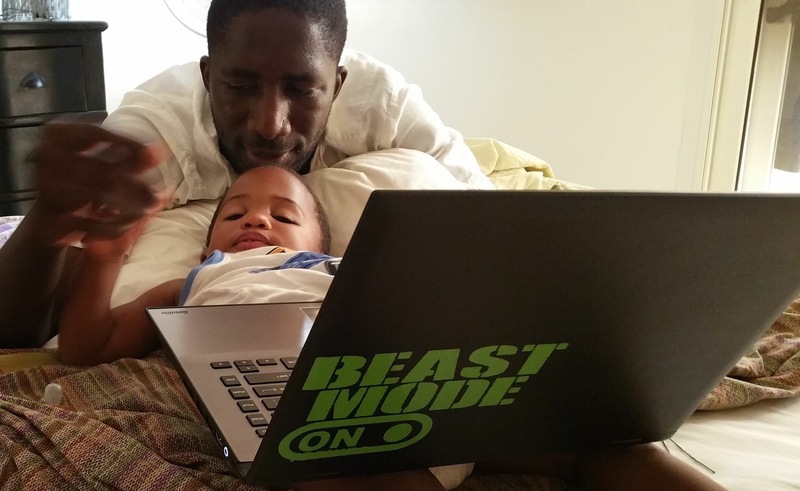 Bouba grew up in Mali, where his father, a civil and hydraulic engineer, and mother, a medical doctor, were based. His father was working on the design, building and management of a hydro-electric dam. Observing what the impact this dam had in his community and ultimately across Mali, Mauritania, Senegal and Guinea, greatly influenced his professional interests and ambition. Bouba founded Yeelen in 2015 with a clear vision in mind: to provide a better and more sustainable way of providing and using energy at a lower cost while contributing to a cleaner planet. What motivated you to be a social entrepreneur? I have always admired people in my family, in my community and around the world whose work contribute to making a difference. Soon in our lives, we are made to believe that each of us have a role to play, that could make a difference to others around us. This mindset is what leads my path, my choices and decisions I make for the activities I involve myself in. I have come to appreciate deeply the value in sacrificing for something worthwhile. What was the attraction to the energy sector? Reliable access to energy and its effective usage will determine how much we progress as a continent. When my business partner and I launched Yeelen, we did not just want to be a solar energy company or a company that simply import/export foreign products, solutions or brands. We are an energy services company that aims to optimize our clients’ energy usage by providing tailored, yet dynamic solutions and services. As such, we are not anchored in a single technology or market demand, but rather are poised to evolve and grow with our markets. At Yeelen, we help clients save by enabling them to control their energy consumption, optimize their energy systems and in many cases, make the switch to smart energy and renewable energy solutions. What practical steps did you have to take to bring this vision to life? I had to physically move back home to start the company. So, I left South Africa for Senegal with my wife and son in 2014 and started the Yeelen venture towards the end of 2015. Before that, I started reaching out to my network to start learning about the local market and enterprises. It was important to learn and work to connect with professionals who share a similar value system, who are capable in their areas of expertise, who share a similar vision, who are ready for long-term investments and who have a strong commitment towards community development. And on a business level, I also needed to link up with people who are capable of understanding complex problems that involve innovation, market ambiguities, technology integration and convergence. I was very fortune to meet my co-founder, a great talented business professional, that I respect and look up to. From there onwards, we have gradually expanded the team with people who enhance our work culture and the brand. We have faced and are still facing a natural resistance to change! The local environment is opaque and not supportive of businesses. Some of the regulations and policies do little to stimulate growth or facilitate the types of solution people need. In addition, there is a clear lack of dialogue and collaboration among the different stakeholders (businesses, government, populations and partner organisations). The challenges are tough and even overwhelming at times but obviously not impossible. We have the talent that is needed, in addition to a growing understanding and developing respected professional/business relationships. Many members of government, civil society and enterprises are taking the lead and initiating programs and initiatives to drive change. This is very encouraging and supports our hope for the future. What do you hope to achieve at the end of the day? My personal vision is that Yeelen becomes an effective platform for transformative impact in African economies. I am driven by the role of technology and innovation to improve economic growth and support development. I continuously seek opportunities that would help shift my trajectory from being a young entrepreneur to a globally competitive and influential industry leader. None! We are not offering just new technology, but a new habits and paradigm shifts. The tools and the platforms we are proposing are to solve current and future social and business needs. That calls for an open mind, trust from our customers and a lot of patience and resilience on our part. It is a long journey we have embarked on knowing the scale of the challenges we would face and expected moments of setbacks and frustrations. The good news is that all the experiences we are going through are preparing us for something big. And we are reminded not to ever be tempted to take a shortcut. Every day, we find opportunities and meet people who make us more focused and even more committed. We understand that although it might seem as if we’re standing still at times, the powerful tides are actually changing directions. What advise do you have for upcoming social entrepreneurs? For those pursuing business and entrepreneurship, try to convey your sense of passion. Doing what you love to do, learning and working hard at it and always putting your passion on full display, will be your biggest asset in getting the support of your teammates, partners and clients. Do not be afraid to break from the pack. My advice would be: 1. Check your value system, set your goals and go for them. 2. Understand and be aware of what motivates you, and what makes you tick. 3. Seek to find out the meaning of your life. 4. Pursue happiness and joy in all your relationships and endeavours and lastly, 5. Listen to and treat people well and fairly, and you will make good business. Remarkably, Bouba was among the prestigious few that were selected to be part of the 2016 Obama Young African Leaders Initiative -YALI. He was a member of the specialised energy group. In the video below, a news camera crew pays him a visit at his home in Senegal. Watch this. What stands out for me the most about Bouba is that his motivation comes from “why” he does what he does and less so on the “what”. I’m sure he wouldn’t mind me revealing that he has only just turned 30 years! A spring chicken ready to take on the world 🙂 If are a Diasporan that has recently moved back home or planning to move back home to be a social entrepreneur, I would love to hear your story. Photo credits: Nana Boateng, Bouba Dieme. Posted in Economic Development, Entrepreneurship, People and tagged Africa, energy, inspirational africans, Mali, Senegal, social entrepreneur, solar energy. Bookmark the permalink. Well done Bouba! We thank God for young and talented individuals like yourself, who are passionately doing all they can for social uplifment of our communities in order to better our continent Africa. Well said, Nsovo. Couldn’t agree more! C’est un exemple, que la jeunesse Africaine doit s’imprégner. .. une fierté pour l’Afrique!